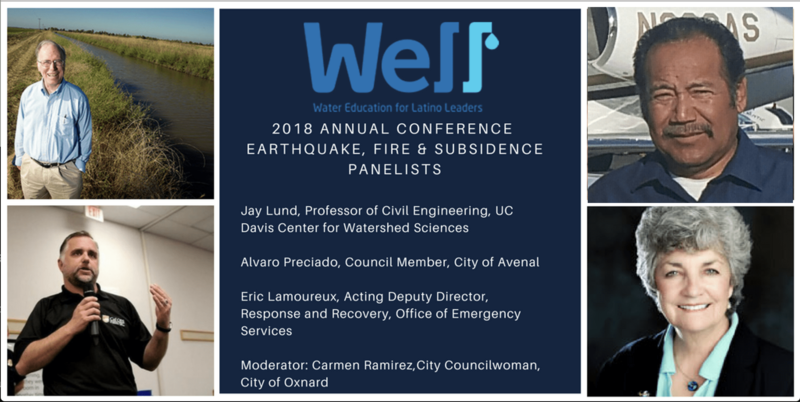 This panel will discuss mitigating the threat of floods, and how low-income communities, often the most vulnerable to these types of natural disasters, can build trust and communication and develop collaborative relationships with water agencies and other neighbors. These threats are so great, no city can go it alone. Bio: Tony Estremera began his tenure on the Santa Clara Valley Water District board in 1996. He has extensive government experience in both appointed and elected positions serving on the Santa Clara County Grand Jury, Santa Clara County Housing Task Force, Valley Medical Center Advisory Board, Santa Clara County Personnel Board, San Jose Municipal Stadium Task Force, (San Jose) Mayor’s Committee on Minority Affairs and the San Jose/Evergreen Community College District Board of Trustees. Tony is Directing Attorney for the Legal Aid Society of Santa Clara County, and earned his Bachelor’s degree from Santa Clara University and a law degree from UC Berkeley’s Boalt Hall School of Law. He is an active member of the State Bar of California and the Santa Clara County Bar Association. Bio: As Chief for the Division of Integrated Regional Water Management (IRWM), Mr. Hinojosa’s responsibilities include the management of the many local and regional assistance programs the California Department of Water Resources provides to promote and support regional sustainability. These efforts include providing technical and planning assistance to local groups and agencies, drought response, administering financial assistance grant programs, environmental restoration, water master services, surface and groundwater data collection, analyses, and evaluations. He is a Sacramento native and graduated from the University of California, Berkeley with a bachelor’s degree in civil engineering. Topic summary: Emergencies start local. As local resources are overwhelmed or greater regional coordination is needed, the State stands ready to assist or lead. There are state resources to help local and regional responders prepare for emergencies and programs to help lessen the risk. Bio: As Chief of Planning and Policy Division and Director of the Flood Risk Management Planning Center of Expertise for the Army Corps of Engineers-South Pacific Division, Dr. Axt oversees a division with technical expertise in plan formulation, environmental compliance, economics, watershed planning, and flood risk management. Dr. Axt graduated from the University of Arizona, Tucson with a bachelor’s degree in biology and earned her Ph.D. in environmental science and public policy at George Mason University in Fairfax, Virginia. 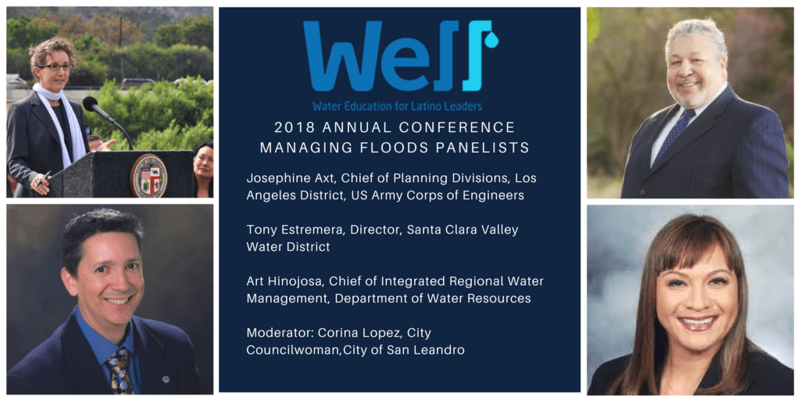 This panel will discuss how to utilize stormwater as a resource in a way that cities can increase their water supply and become less dependent on importing supplies from the Sacramento-San Joaquin Delta and the Colorado River. But local leaders need to be collaborative with public works departments, water agencies, county flood control departments, and learn to speak each other’s language. Bio: Paul Alva is an assistant deputy director for the County of Los Angeles’ Department of Public Works, Stormwater Quality Division. 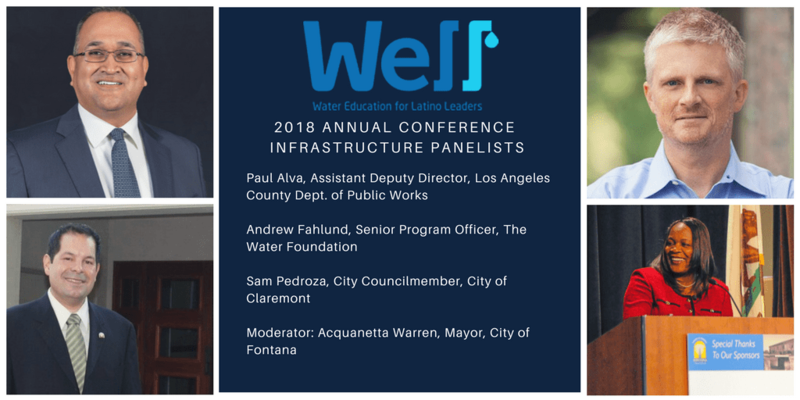 Since joining Public Works in 1994, his responsibilities include influencing solid waste management policies throughout Los Angeles County, and overseeing the Department’s grant and federal advocacy programs. Mr. Alva currently manages the stormwater quality program for the County Unincorporated Areas and the Los Angeles County Flood Control District. Bio: Fahlund serves as Senior Program Officer for the Water Foundation, an innovative collaboration of philanthropies dedicated to ensuring enough clean water for people and nature and directs grantmaking and policy efforts on everything from healthy rivers to sustainable groundwater management. He helped design and execute a campaign to pass California’s historic 2014 Sustainable Groundwater Management Act. Mr. Fahlund received his master’s in natural resource policy from the University of Michigan School of Natural Resources and Environment with honors and his bachelor’s degree in anthropology from Colorado College. Bio: Mayor Pro Tem Sam Pedroza is serving his third term on the Claremont City Council. His interests in livable community efforts from a regional perspective are expressed through the boards on which he serves on behalf of his city. Mr. Pedroza is the Chair of the Metro Gold Line Joint Powers Authority, city representative to the General Assembly of the Southern California Association of Governments (SCAG), city representative to California Contract Cities where he serves on the Executive Board, and alternate to the Foothill Transit Governing Board and San Gabriel Valley Council of Governments (COG). He holds a bachelor’s degree in public administration and earned his master’s degree in urban planning from UCLA. This panel explores what a catastrophic event would mean for local communities, and what can be done to prepare for such an event. How can you mitigate the impacts on: infrastructure; food security and availability; water; schools; and emergency services and response? Bio: Dr. Lund is Director of the Center for Watershed Sciences and a Professor of Civil and Environmental Engineering at the University of California, Davis. He has long enjoyed teaching, research, and engagement on many aspects of theory and practice for water management and policy, usually trying to integrating economics and operations research with traditional engineering. He is an Adjunct Fellow with the Public Policy Institute of California (PPIC) and a member of the National Academy of Engineering. He has long been involved in applying economic and optimization ideas to provide insights on California’s water problems, including the development and use of the CALVIN model of California’s water supply system. He is a lead author of Comparing Futures for the Sacramento-San Joaquin Delta (UC Press 2010) and Managing California’s Water: From Conflict to Reconciliation (PPIC 2011). Topic summary: Jay’s presentation will look at the potential of several forms of disaster for the Sacramento-San Joaquin Delta, from earthquakes, floods, droughts, sea level rise, and invasive species. Bio: Alvaro Preciado is a proud Mexican American citizen. He works for a local government in Fresno county as a chief plant operator at a wastewater treatment plant. He is cross-certified by the state of CA In water treatment, water distribution and wastewater treatment….He is the Mayor for the city of Avenal in kings county…He is very active in his community He has a community garden in his house 100 percent free to the residents. He is a member of the community response team with Avenal police dept. He is the chair for St. Joseph catholic church finance board in Avenal. He represents the west side in a joint powers authority (jpa) being composed of 5 counties in the central valley and 3 mayor water agencies, cities and Indian tribes….He is a member of the citizens advisory committee ( CAC) of The San Joaquin air quality control district and a member of the special city selection committee also with the sjv air district. He has lived in Tijuana, Mexico; San Diego, CA; Santa Maria, CA; Salinas, CA; Blythe, CA. Prunedale, CA and Yuma, Arizona. He also served as a planning commissioner for the city of Avenal for 2 years before being elected as a city council member. Lamoureux was not be able to make it to the conference, as he had been deployed to Santa Barbara and Ventura counties to aid in emergency services for the storm. We have OES printed materials available.